South Downs National Park – Where are we? You’re not sure which part of the South Downs National Park that you are in? Follow our signs. We have the pleasure in working with the National Park Authority to provide signage across the national park. Carefully crafted in our own workshops, as you can see from the photo, we can include logo’s. These signs are manufactured in Oak and will go a beautiful grey colour over time. Keep your eye out for our signs, there will be more appearing soon. If there is a sign that you would like us to create, give our sales team a call. From house signs & company signs to footpath signs. You might also think about us engraving the top rail of your gate when we make it for you. A good theft deterrent – gates have been stolen. A new Direction – Signage at its best. Good quality and tasteful signage adds a lot to a business or domestic property. 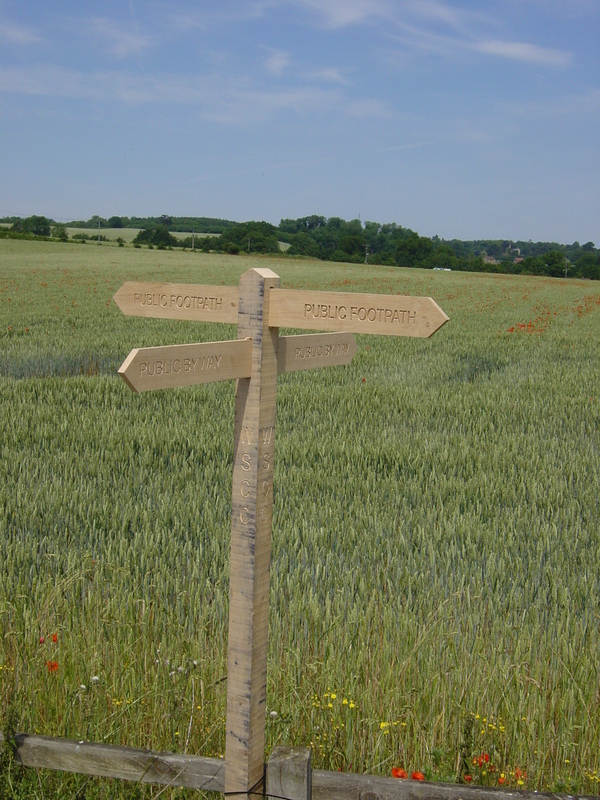 We have been signing the countryside for a number of years now, working with many agencies to supply footpath signs. So lots of you will have been following our lead when you have been out for the Sunday walk. 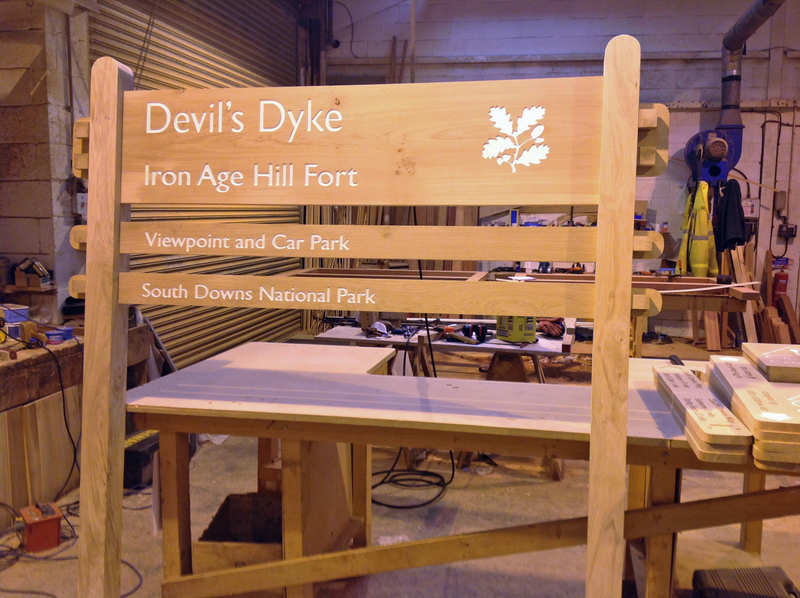 More recently we have been working with the National Parks Authorities supplying signage for various areas across the South Downs. 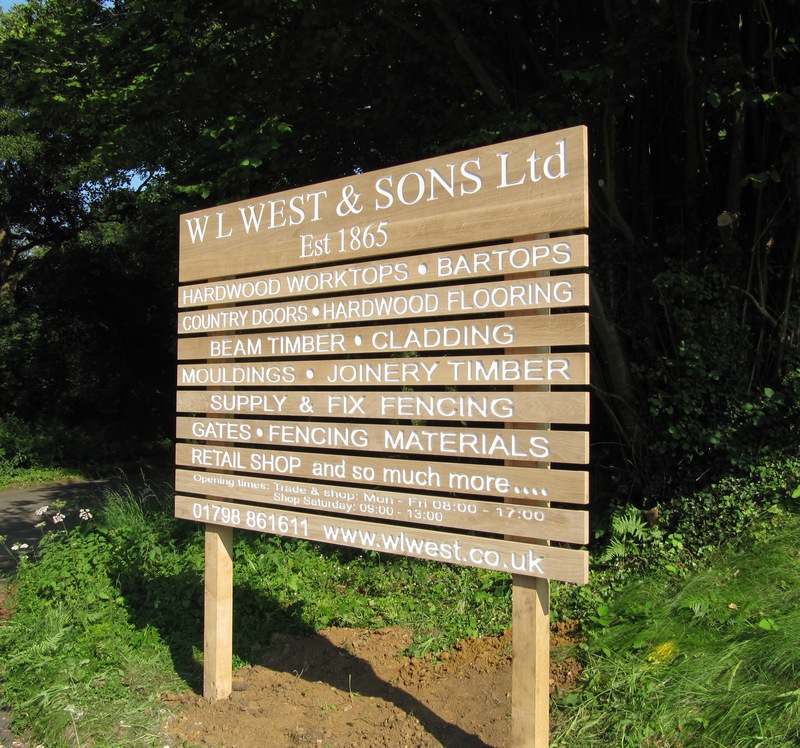 Most of these signs have been in Oak, naturally durable and a fitting material for the countryside. The lettering on these have been spray painted to allow the sign to stand out, something we are able to offer with all signs. Gate backs are a really good way of showing a name of a property without have to have a separate sign. Prior to constructing the gate, we engrave the back (top rail) of the gate, the gate is then constructed and sanded to leave a stunning finish. 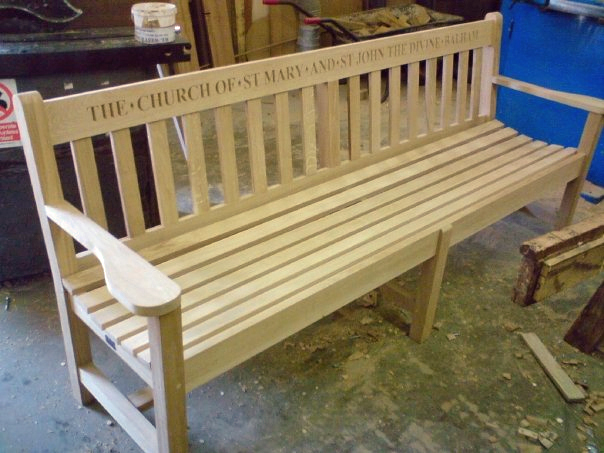 Customers often ask us to make memorial benches to be sited sometimes in public areas such as sports grounds or parks, but occasionally in private gardens. I think this is a lovely way to remember someone, especially if they were outdoor people. We use a similar method to the gates, we engrave the tope rail of the bench before assembly. More recently, we have been making commercial business signs, including our own. 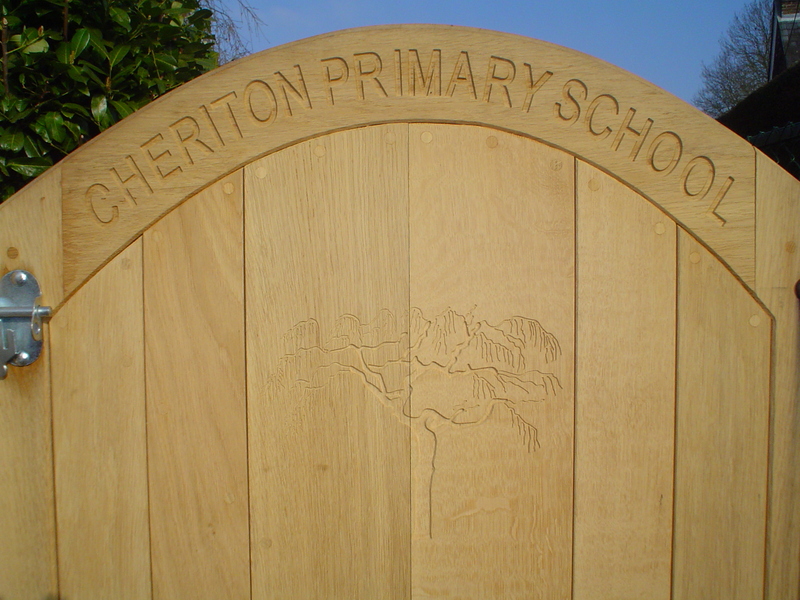 Our technology allows us to use a small CAD package to create lineage and most logos to be engraved into timber. 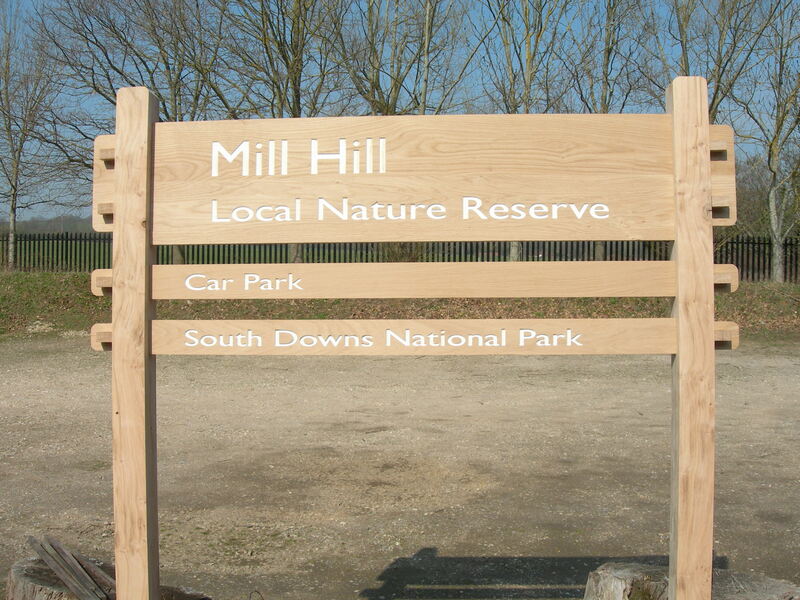 The signs can be either left natural or treated to maintain the colour of the timber, the letters can be painted to meet your company’s colour scheme. Call us to discuss your sign, we are sure that we can make you a sign that will meet and beat your expectations.